FORD HI-BOY CHEVY Engine hotrad 1932 Automatic. 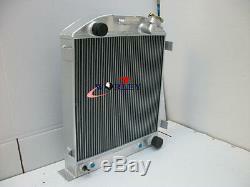 (Just leave oil cooler disconnected if manual). 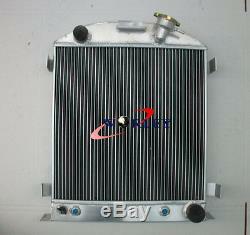 Core Size (in) approx: H17" x W17 -1/4"x T2-7/16 - 3 Rows. Overall size(in) approx: H22-7/16"xW19-1/8" xT2-15/16. All shop order, bulk order, wholesalers are welcome. We also accept made-to-order items. Our goal is to make you satisfied. 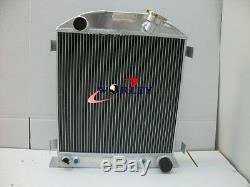 The item "3 core Aluminum Radiator for Ford Hi-Boy Chevy engine hotrod 1932 32" is in sale since Thursday, September 22, 2016. 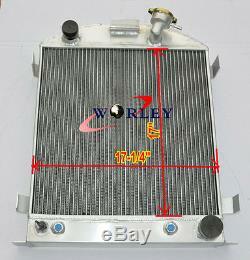 This item is in the category "Vehicle Parts & Accessories\Car Parts\Engine Cooling\Radiators". 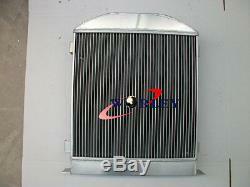 The seller is "racingrad" and is located in ALKMAAR.